When it comes to adding beauty and value to your New York area home, there are few things you, as a homeowner, can do that will provide more benefits than renovation and remodeling. The ideal behind renovation and remodeling is to create a new look for the various rooms of the home. While many do it yourself types stop with something as simple as a few coats of paint and some new carpet, the process of rejuvenating an older home to create a new look can get much more involved. To create the optimal look for your home and increase its value in areas like Manhattan, Queens or Brooklyn, you have to take things further. 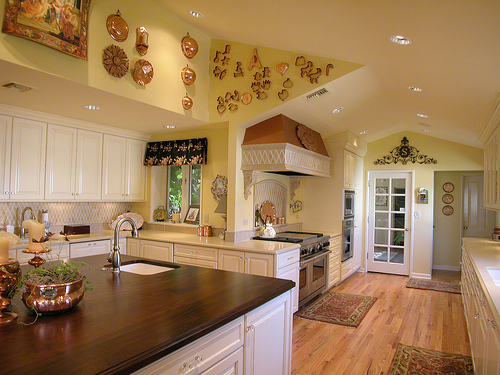 One of the most commonly occupied rooms in any home is the kitchen. For this reason, prospective home buyers often make the kitchen area one of the first stops when inspecting real estate. A worn out kitchen with ugly, green counter tops, drab yellow walls and orange shag carpet isn’t going to entice home buyers in the Manhattan, Queens or Brooklyn areas to want to take a second look at your home. Now imagine replacing that old orange shag with some trend setting quarry tiles and losing the green countertops in favor of replacing them with smooth, dark granite. To complete the look, let’s repaint those drab walls and add a backsplash mosaic behind the counters and a full wall mosaic behind the stove and refrigerator bays. 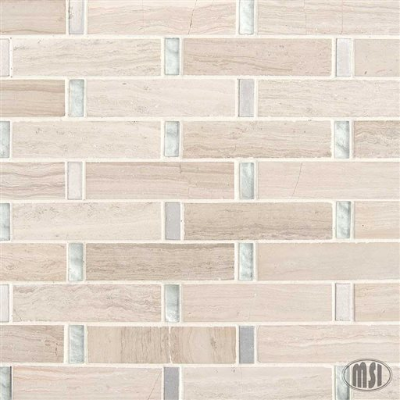 A great tile choice for making this mosaic could include something from Stella Interlocking’s White Oak, Glass, Stone, Metal Blend series. With Stella Interlocking, it is easy to create beautiful mosaics because the tiles come pre-cut and assembled on a mesh backing so they fit together easily in a consistent pattern. 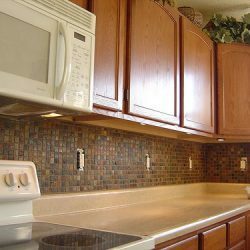 With this system, almost any home owner can put together a mosaic backsplash or wall that will stand up to the test of time. 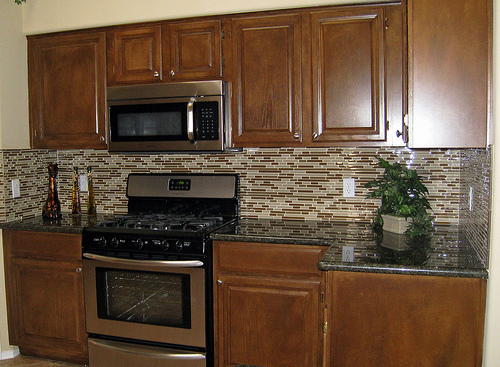 If you can assemble a simple jigsaw puzzle, you can create beautiful mosaic walls and backsplashes. Need to add even more value and style to your home? 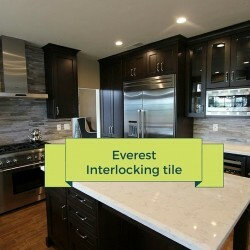 Let’s take this new found interlocking tile magic from the kitchen to the next most important room in the home. It’s the room everyone fights over and no one wants to clean. You guessed it. We’re talking about the bathroom. While we can’t judge the folks who thought pink toilets, sinks and bathtubs were all the rage in the 1970’s versions of Manhattan, Queens or Brooklyn, it is sure hard for us not too. For the more modern Manhattan, Queens or Brooklyn resident, the 1970’s are out and the modern look of glass, metal and stone is definitely in. So let’s spice up this ancient bathroom and send the pink ceramics back to the disco era. Replace the old toilet with a new,low profile, high efficiency model to save on the water bill and, then, let’s use the money you saved to add a new garden tub and a shower stall with matching interlocking tile mosaics. The beautifully patterned glass, stone and metal tiles meld together to create a uniform look of modern design. Let’s extend this mosaic around the room as a half-wall design behind the toilet and the vanity. Add some stainless steel hardware and you have created a look even the most difficult to please home shoppers in Manhattan, Queens or Brooklyn would be happy with. You want your home to be beautiful and increase in value. We want to help you make that happen with Stella Interlocking. Shop the full line of Stella Interlocking tile products today to find the mosaic interlocking tile that will enhance the value of your home.